Development in information technology enables nonprofit organizations to reach more potential donors in a fast and affordable way. To help nonprofits form evidence-based strategies that suit the digital era, we conducted a study on a random sample of 400 Chinese foundations, investigating to what extent organizational legitimacy, network, and political ties influence their ability to attract donation. Results show that in terms of legitimacy, comparing to the past, organizations need to disclose additional information beyond what is required by the government to foster a trusting relationship. In terms of network, online networking can not only bring in online donations but also potentially increase offline donations. In terms of political ties, implicit political ties are beneficial to the organization, whereas explicit political ties may have negative influences. China Charity Information Center. (2011). 2011 Niandu Zhongguo cishan toumingdu baogao [2011 China charity transparency report]. Retrieved 20 January 2018 from http://www.charity.gov.cn/fsm/sites/diaphanous/index.jsp. China Red Cross. (2012–2016). zhongguo hongshi zihui Jianyu shengji baogao [China red cross annual audit report (2012–2016)]. Retrieved 20 January 2018 from http://www.redcross.org.cn/html/gongkai/index.html. China Youth Development Foundation. (2009). 20 years, Project Hope is the most influencial brand name in philanthropy. Retrieved 20 January 2018 from http://www.cydf.org.cn/shiyong/html/lm_177/2009-11-05/094426.htm. Flannery, H., Harris, R., & Rhine, C. (2009). 2008 DonorCentrics Internet giving benchmarking analysis. Charleston, SC: Target Analytics, Blackbaud. Retrieved 27 February 2019 from https://www.blackbaud.com/. Ministry of Civil Affairs. (2018). 2017 shehui fuwu fazhan tongji gongbao [2017 Annual statistical report on social service development]. Retrieved 27 February 2019 from http://www.mca.gov.cn/article/sj/tjgb/. National People’s Congress. (2016). Charity law of the People’s Republic of China. Retrieved 27 February 2019 from http://www.mca.gov.cn/article/gk/fg/shflhcssy/201603/20160300881497.shtml. PwC. (2017). eCommerce in China—The future is already here: How retailers and brands are innovating to succeed in the most dynamic retail market in the world. Retrieved 27 February 2019 from https://www.pwccn.com. Saxton, G. D., & Guo, C. (2012). 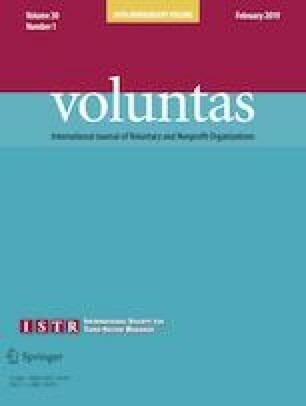 Conceptualizing web-based stakeholder communication: The organizational website as a stakeholder relations tool. Communication & Science Journal. Retrieved 22 January 2018 from https://ssrn.com/abstract=2189036. The China Red Cross. (2016). CMDP overview. Retrieved 20 January 2018 from http://www.cmdp.org.cn/show/1022765.html. The State Council. (2004). Regulation on foundation administration. Retrieved 20 January 2018 from http://www.mca.gov.cn/article/zwgk/tzl/200711/20071100003953.shtml.